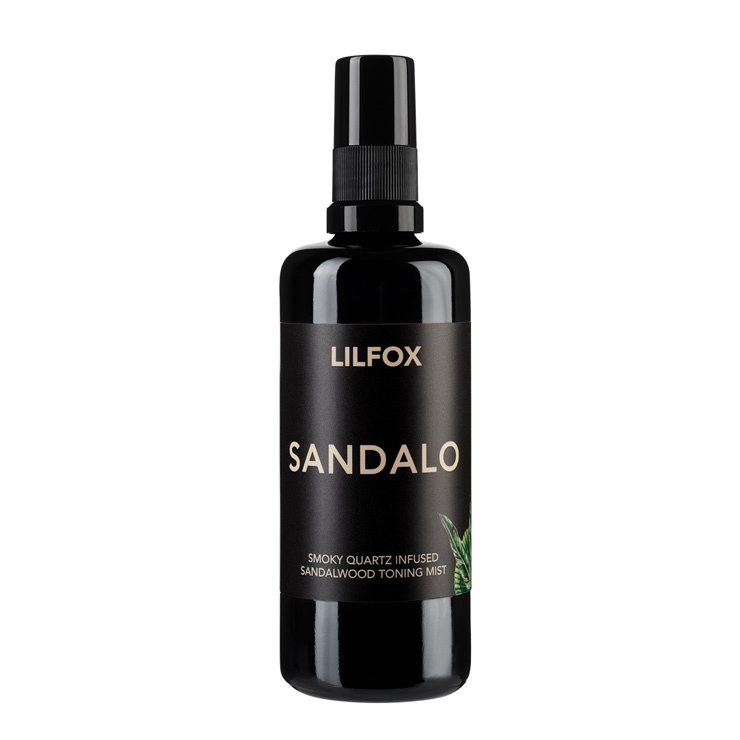 Alexis Rose, Founder of LILFOX, sources sandalwood hydrosol sustainably for this decadent toning mist. Sandalo makes skin feel uber refreshed with a feeling of protection and calm from earthy sandalwood, while a side of smoky quartz gives a grounding sensation to start or end the day. This tonic makes skin feel hydrated, healed, and revitalized. The perfect companion to a streamlined skincare system, use after cleansing or great for men post-shave for a soothing feel. Leaves the face looking fresh and energized. Apply tonic to cotton pad or clean hands and pat onto face, or mist directly onto skin. Use after cleansing both morning and night, and as a way to make skin feel awakened and refreshed midday. Aqua (Water), S.Album (Sandalwood) Oil, Potassium Sorbate, Lactic Acid.